I have finally decided to start listing on Etsy but before I take the plunge I wanted to host a giveaway.I am planning to start with this twist clutch.This is made in brocade & the lining is silk with a small pocket inside. The clutch has a zippered opening which is naturally very safe. I love the way the pleats twist on one side............looks really elegant!!!!!!!! The zipper is sunken inside .The inside is lined with a soft silk & a small pocket which has a fusible interface.The clutch too has a interlining making it firm. The sunken zip takes much more efforts than a simple inserted zip but the pay off in terms of how it looks is well worth the effort:). I am offering a choice to everybody who enters the giveaway.This is the second clutch............the winner can choose the clutch out of these two. This clutch too is lined with silk . 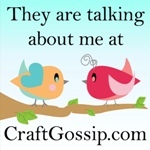 2) I blogged about you on my site! 3) I'm not much of a purse carrier, however my mom and best friend are! My mom would love the second one and my bf would love the first one! I could see them selling for around 15-20 on etsy. now following :) thought google reader was the same as following! 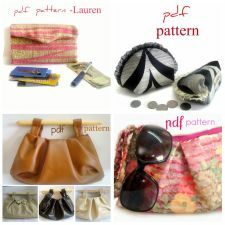 I love the striped clutch! I am now Following your site. Your ideas are fantastic! I'm in love with the stripped clutch. What a cute pattern! !